Despite rapidly decreasing rates of population growth caused by reduced fertility in the majority of world regions, demographers are predicting that the world's population will still double by the year 2050. The question is therefore no longer the traditional one of whether the planet can support so many people, but how to provide a sustainable future for ten billion individuals. Quantitative problems have become ethical ones. 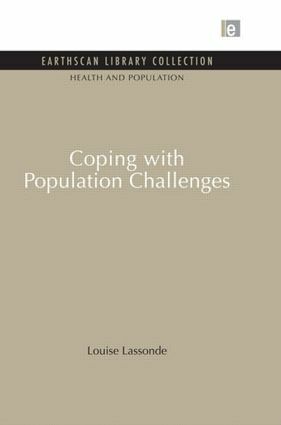 Coping with Population Challenges addresses these issues in the context of international debate and agreements since the first World Population Plan of Action in 1974 to the 20-year Programme of Action adopted at the International Conference on Population and Development in Cairo in 1994. The author describes how the Programme of Action focuses on women's issues, reproductive choice and the notion of the individual. However, she identifies a number of important but neglected areas of the debate that the Programme failed to address and brings to light some of the inconsistencies that need to be resolved if the Programme is to be implemented. The author also looks at the underlying ethical dimension of all choices relating to the population issue and suggests measures and machinery for giving effect to states' commitments, including reformulating problems and defining the appropriate economic framework for solutions. The book is an excellent introduction for the non-specialist to a very topical debate, and a useful reference for researchers.